Do your kids lunches sometimes come home only half eaten? Do you wonder how much of their own lunch they ate, how much they traded, and how much ended up in the trash? If you have been anywhere near Pinterest or a recent parenting magazine, you have probably noticed the bento craze sweeping the nation. 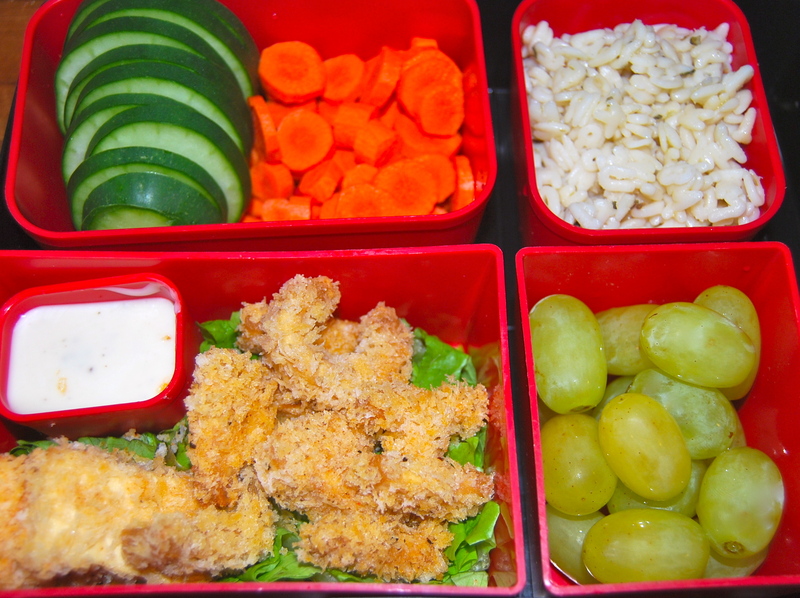 Bento boxes usually have several small boxes that fit snugly in a larger box that holds it all together. It makes it easy to pack smaller portions of a variety of things, for a more well rounded meal. 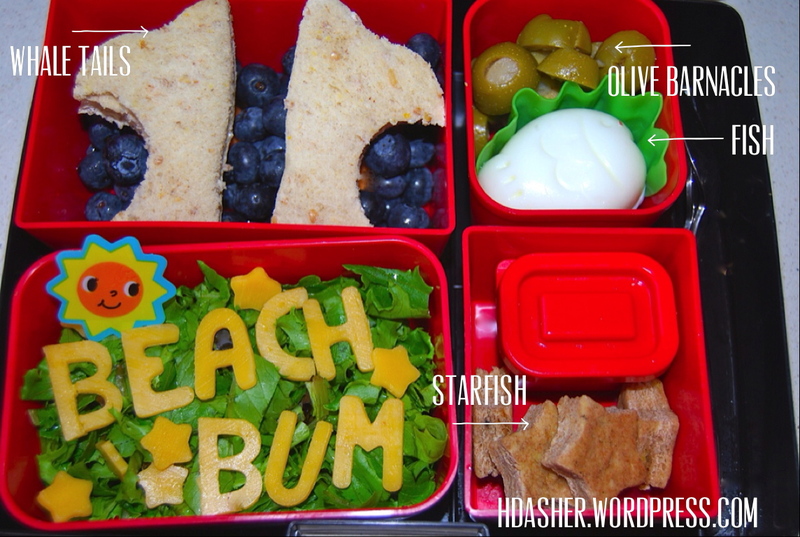 Because the bento pieces fit together so well, it’s easy to create “art” with the food and know it will still look that way when your kid opens it at lunchtime. We bought ours from laptoplunches.com. Yes, it cost a little more than some lunchboxes but it came with a recipe booklet, silverware, and an insulated carrier. Plus, it’s BPA, lead, phthalate, and PVC free. 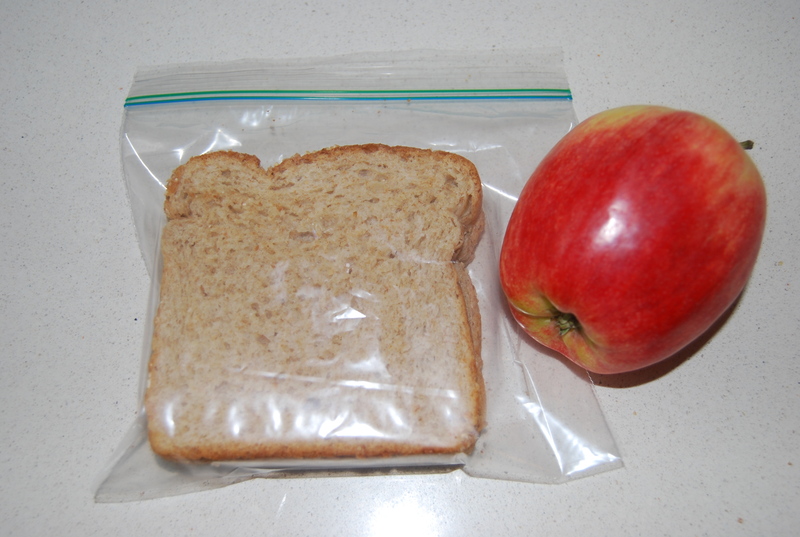 After a few months of not buying plastic baggies, it ends up being cheaper than a plain lunchbox or paper bags. Why would anyone go to so much trouble? Well, because I guarantee that your kids will be willing to try more foods if they look cute. Does yours take one look at something they have never tried and say “I don’t like that”? Mine too. Visual appeal is huge. Start to finish, this took around 10 minutes active time since the starfish crackers were premade and frozen. This weekend I’ll share some of the tools I use and tricks I have picked up for making a visually appealing, healthy lunch. I’ll also share some easy recipes that are a huge hit in our home. Since I started making “fun food”, my 4 yr. old has starting eating salad, olives, hard boiled eggs, sweet potatoes, raw carrots and cucumbers, and many other things he would not have touched before. The first tools I want to share are cutters. 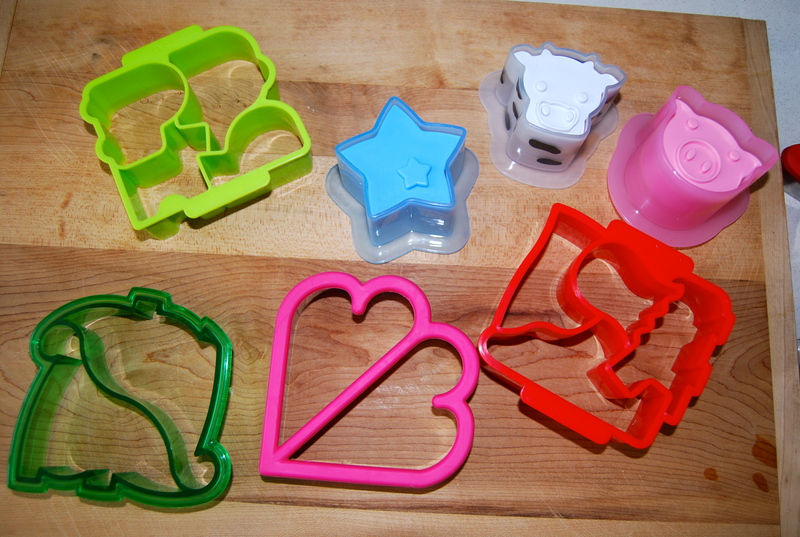 Cookie cutters aren’t just for cookies anymore! I had several in my kitchen already and have added to my collection over the last few months. Every time I go to a discount store like Ross or Marshalls, craft stores, or even Target and the grocery store, I keep my eyes open for cute cutters. They are usually around $2 – $5 so picking up one or two is not a big deal. 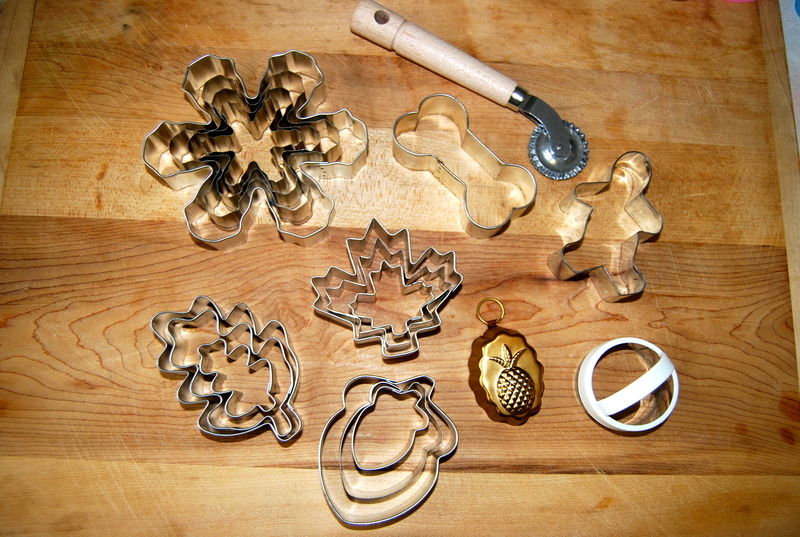 If you’re an online shopper, you will find any cutter you could imagine at Cookie Cutter Company for very reasonable prices. They’re not just for sandwiches! 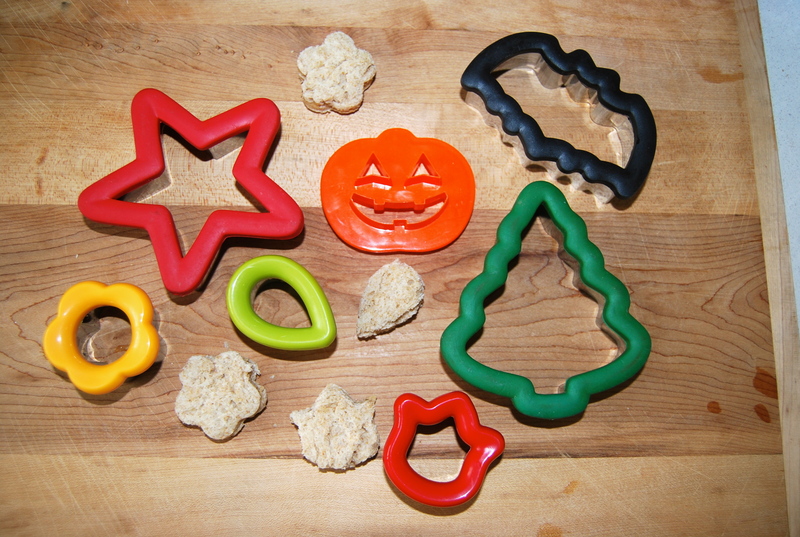 Use cutters for tortillas, potatoes, homemade crackers, omelets, cheese slices, veggies and fruit, tofu, lunch meat, etc… They make anything fun! School last week was all about letters and learning to spell and write names so I made baked tofu nuggets that spelled out his name. 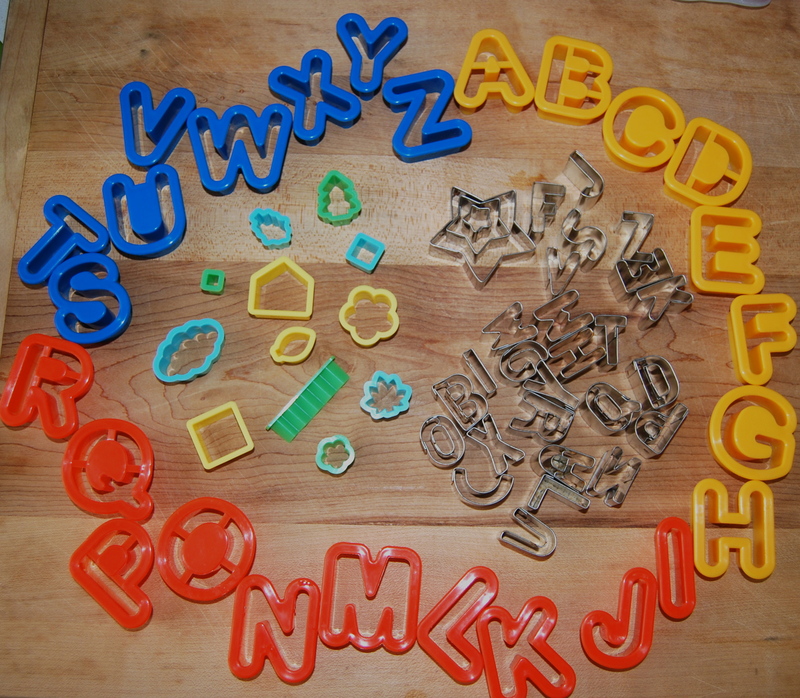 I packed it with alphabet pasta to continue the “theme”. Fun, yes? And so easy. I made the nuggets the day before and served the extras for dinner, packing the letters of his name in the container so it would be ready in the morning. The pasta was also leftover from a snack. The rest of the meal took around 5 minutes the morning of. How easy is that? Who wouldn’t love to open the lunchbox and see something like this? Serving someone fun food is like a hug. It takes a little extra time but is always worth it, in my opinion. Not long ago, I read that the vegetable toddlers consume the most of is french fries. That is so sad and completely avoidable. Join the fun lunch revolution! Let’s raise some healthy eaters who try new things! Probably almost as much fun to put together as it is to eat!! Good ideas!! Thank you! It really is fun!